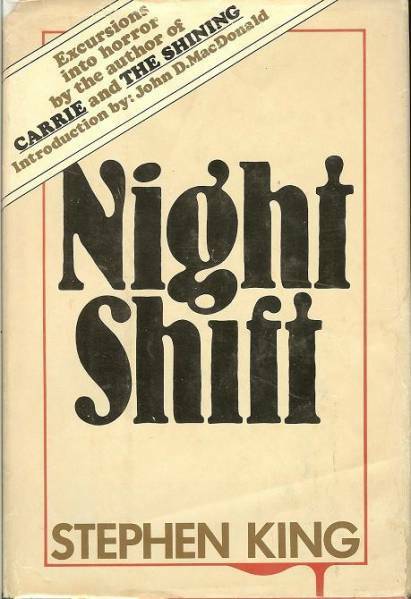 Night Shift is my favorite King collection. Some of my favorite short stories are in it. The Last Rung on the Ladder is my favorite short story of all time, regardless of author. 5! "The Last Rung Of The Ladder" is not only my favorite King story, but my favorite story. Really surprised (pleasantly) how well this book is going! I voted "good" because of the two novelettes, which are good. The stories mostly left me indifferent. The Boogeyman was excellent, but the rest of them good at best, and mainly average. It's my favorite short story collection by him. Gotta thank my Dad for giving me this book in '79. It was my first King material and I couldn't put it down. Gave it a 4. Not my favorite collection, (That was Skeleton Crew) but it is next in line. Even average early King is above average. My first SK book. It started my true obsession with books. The poll has closed. Night Shift has earned a FAS (final average score) of 4.250000000 or 85.00%, placing 3rd in this bracket. It will not be moving on to Round 2. I've read a number of stories in this book, but there are plenty I haven't. Based on your comments above, I think I need to fill in the gaps. After the conclusion of Round 1, Night Shift has earned a wildcard spot (third of six) in Round 2. Yes... agreed. Likely my favorite collection too but a close call with Different Seasons.